If you trust Google more than your doctor then maybe it's time to switch places. Known to SEO consultants as "The Lucky 7", Google Places pages are displayed before organic search rankings. Google Places pages are an excellent way to rocket straight to the first page. Whether your site lacks organic traffic or if you simply want your site to dominate accross the board, you need a Google Places page. I claimed my page, am I done? The answer is a resounding, "No!" Claiming your page is only the start and there is so much more that needs to be done. While filling out your Google Places page may seem intuitive, it is anything but. It takes a Google Places SEO Expert. While some of your competitors haven't claimed their page, there are many more who have. And what's more, they have hired a professional Search Engine Optimization company. This means that their places page will show in the top search results more than your page. Ultimately your competitor will reach more prospective clients. Can you afford to lose business? We both know the answer to that question. You're after success. You know that every little thing counts. However, an optimized Google Places page is anything but little. Your Places page can be optimized to appear for a variety of your products and services. Now you can ask the question; "How do I want to succeed?" Peak Consulting is your pipeline to success. We ensure success with our unique skills and industry insight. If your online presence is faltering or if you want to bolster your online marketing strategy, contact Peak Consulting. 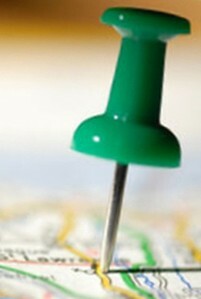 Together we will map out the strategy for your business success. Call us today on 0404 398989 for your Google Places page optimization.